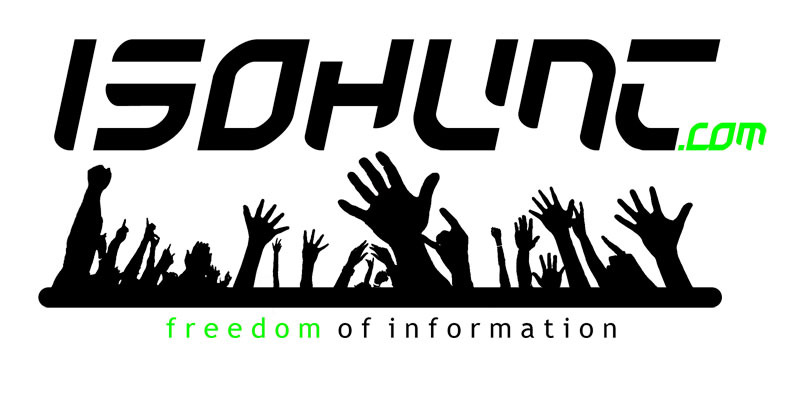 If you haven’t heard of it, isoHunt is a torrent search engine. In fact, it may be the largest torrent search engine in the world. And it is based in Canada (though they also have servers in Sweden). isoHunt claims that there are over 12 million searches for torrents on its site per day. That alone should tell you how torrents are taking over the world. Yes, lawmakers can blather like idiots. So does isoHunt fit the bill? Let’s break it down. isoHunt is certainly on “the Internet”. isoHunt is certainly “a service”. Is isoHunt “designed primarily to enable acts of copyright infringement”? Well that’s when things get messy. Gary Fung, founder of isoHunt, would most certainly say no. He has repeatedly pointed out (here, for example) that his site has a takedown policy, meaning that if a copyright holder tells him his site links to copyrighted materials, he will take it down. isoHunt also does not act as a tracker, the server out there on the internet that helps you download via torrent. As Fung (correctly) points out, his site is just a search engine. It hosts no files, either the original media files or the .torrent files you need to make your torrent client go. Google can be used to find torrent files just like isoHunt; all you need to do is add “filetype:torrent” to the beginning of your search query. Go ahead, try it. I’ll wait. The only problem comparing isoHunt to Google is that Google is not primarily designed to find torrent files; it’s primarily designed to find anything. isoHunt is primarily designed to find torrent files. But can you then make the next step – does that mean it’s primarily designed to enable copyright infringement? The problem (for isoHunt) is that almost all files that are downloaded via torrent are copyrighted. Some studies have pegged the proportion of copyrighted files exchanged via torrent at 99%. Fung likes to argue that his site helps find all sorts of torrent files, not just ones that get you copyrighted materials. While technically he’s correct, if 99% of the files are copyrighted, that pretty much means it’s primarily enabling copyright infringement. I have no doubt that the Government and the copyright holders would see it the same way. So could this save isoHunt? Well unfortunately the Government thought ahead, and specifically said the search engine (ok ok, Information Location Tools) exception does not apply when our section 27(2.3) is in play. Sorry Gary! In my oh so humble opinion, isoHunt is probably screwed. The legislator has failed to differentiate between a torrent site that just helps you find things via a search engine, and a site that actually tracks them via torrent. It will most likely take a court to sort it all out. The legislator has provided a series of six factors that a court can use to determine if someone is facilitating copyright infringement under 27(2.3). I won’t go through them all because that will bore you to tears, but here’s one – whether the service has significant uses other than to enable acts of copyright infringement. This, no doubt, would help a court differentiate isoHunt from Google. In the meantime, while we wait for the Bill to become Law and the courts to sort it all out, I need to download the latest Boardwalk Empire. Anyone know where I can find it? Tagged: downloading, is my kill bill series a violation of tarantino's copyright?, torrent(-ial downpour of copyright violation). 6 Responses to Kill Bill C-11 Volume 1: Goodbye isoHunt? Assuming you were not asking a rhetorical question. I have never downloaded, but stream yes much, and all these places have a download now button, let me know if you get anything. What if isoHunt modified it’s search engine parameters to allow web-wide searches, like Google (or any other search engine that exists but have no traffic, because every single person on this planet uses Google)? If you could go on isoHunt to look for an article about the fall of the Berlin wall as much as for the latest episode of True Blood, would that not eliminate this ‘primary function’ part of the problem? James you may have a point. Though at that point I am not sure how much good isoHunet would be if it is just another search engine. Also, and I didn’t mention this in my post but maybe I should have, isoHunt has a “browse” function where you don’t necessarily have to search. You can just see the list of the most popular torrrents, or the latest ones, or by category, etc. So they’d have to probably get rid of that. So now that Bill C-11 is that much closer to law… what does that mean for the .torrent users? Will our internet providers halt our services if we have a high amount of download/upload activity each month?